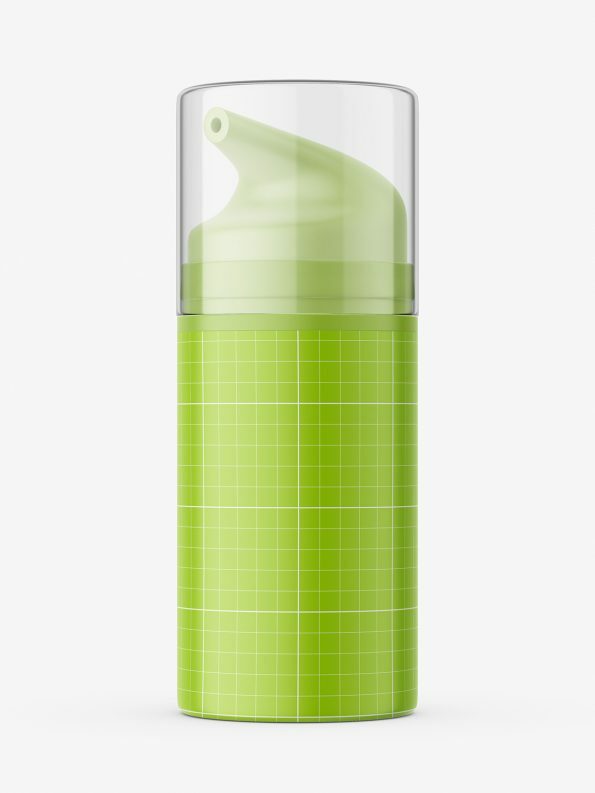 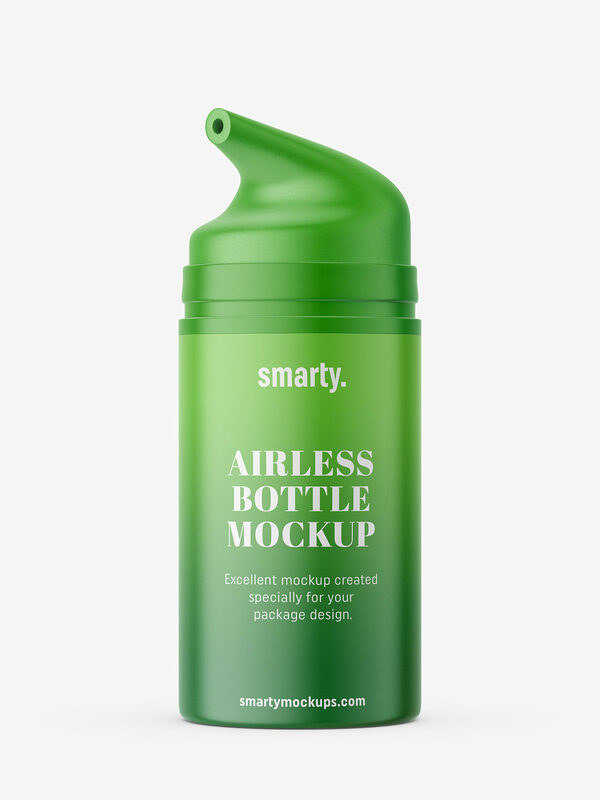 Plastic airless bottle mockup with ability to change bottle, rings and pump color. 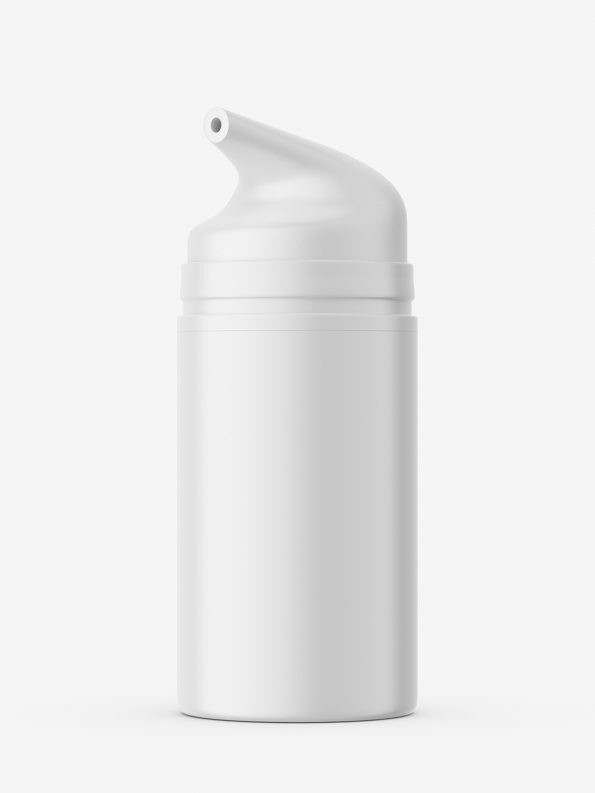 You can turn on and off transparent cap. Label covers entire bottle.